Home » My Practice » Anthony G. Sanzone M.D. Dr. Sanzone strives to provide superior orthopaedic care in a compassionate environment and to make a positive, meaningful difference in the health of the individuals whom he treats. 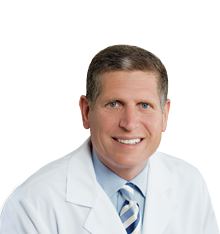 Dr. Sanzone is a Fellow of the American Academy of Orthopaedic Surgery and is board certified by the American Academy of Orthopaedic Surgeons. He received his undergraduate degree from the University of California San Diego and continued his orthopaedic education at Boston University where he completed his residency. Dr. Sanzone specialized in orthopaedic traumatology by completing a fellowship at the University of Washington at Harborview Medical Center. 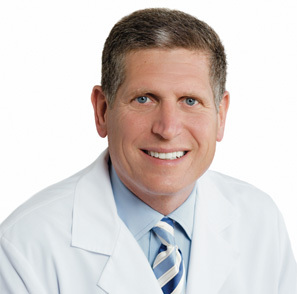 Currently in private practice in San Diego and Chula Vista (Eastlake area), Dr. Sanzone is the co-founder of San Diego Orthopaedic Trauma Fellowship and actively instructs a fellow on the discipline of fracture care. He is a member of the Orthopaedic Trauma Association, American Academy of Orthopaedic Surgeons, California Orthopaedic Association and Western Orthopaedic Association. He is on staff at hospitals throughout San Diego County. Residency Program :Boston University Medical Center Boston, MA. Residency Program :University of Health Sciences/ The Chicago Medical School Chicago, IL. Medical School :Loyola University of Chicago/ Stritch School of Medicine Chicago, IL. Undergraduate : University of California, San Diego La Jolla, CA. To know more about Anthony G. Sanzone M.D. please click the desired links below. Orthopaedic Supervisory Committee, Sharp Memorial Hospital San Diego, CA. Current Challenges in Pain Management in Hip Fracture Patients. Journal of Orthopaedic Trauma; Volume 30, Number 5, May 2016. Use of Nonopiod Analgesics and the Impact on Patient Outcomes. Journal of Orthopaedic Trauma; Volume 30, Number 5 ,May 2016. Treatment of Abnormal Single – Leg Stance (Flamingo) Radiographs. Journal of Orthopaedic Trauma; Volume 25, Number 1, January 2011. Use of a Traction Bow to Facilitate Reduction When Performing Retrograde Femoral Nailing. Orthopedics; Volume 30, Number 6, June 2007. Reliability of Bohler's Angle on Lateral Radiographs of the Calcaneus. Scientific Poster, Orthopaedic Trauma Association Annual Meeting 2006. Treatment of Proximal Humeral Fractures with Polarus Nail Fixation. Journal of Shoulder and Elbow Surgery; Volume 13:191-5, March 2004. Near- Infrared Spectroscopy versus Compartment Pressure for the Diagnosis of Lower Extremity Compartmental Syndrome Using Electromyography-Determined Measurements of Neuromuscular Function. The Journal of Trauma Injury, Infection, and Critical Care; Vol. 51, No. 1, July 2001. Early results of Polarus Nail fixation in proximal humerus fractures. Presentation: Orthopaedic Trauma Association 1998, AAOS 2000. The Use of Bone Morphogenetic Proteins to Heal Fractures, Articular Cartilage Defects and Ligament and Tendon Injuries. Sports Medicine and Arthroscopy Review 6:118-125, 1998. The Surgical Management of the Unbalanced Wrist in Cerebral Palsy: A Follow-up of Sixty Cases. 65th Annual Meeting of the American Academy of Orthopaedic Surgeons, 1998. Tendon Transfers of the Shoulder for Brachial Plexus Injuries; Boston Hand Society, 1997. Abstract: Tendon Transfers to the Shoulder for Paralysis of the Brachial Plexus. 27th Annual Meeting of the American Association for Hand Surgery, 1997. Surgical Treatment for the Paralysis of the Intrinsic Muscles of the Hand, Boston Hand Society, 1996. Intraosseous Neurilemoma of the Calcaneus. Orthopaedics 19(4): 353-5, 1996. Blunt Trauma to the Carotid Arteries. The American Journal of Emergency Medicine 13(3): 327-31, 1995. Abstract: Skeletal Muscle Fiber Recruitment at Submaximal Intensity: Implications for Stimulation Therapy. 36th Annual Meeting of the Orthopaedics Research Society, 1990. A Comparison of Injury Date and Death Date in 42,698 Suicides. American Journal of Public Health 78(5): 541-3, 1998. Primary Defect of Congenital Dyserythropoietic Anemia Type II. Failure in Glycosylation of Erythrocyte Lactosaminoglycan Proteins caused by lowered N-acetylglucosaminyltransferase II. Journal of Biological Chemistry 25(262): 7195-7206, 1987.